Sailing Terms and their Origins. As a follow on to our Nautical Terms article, we have compiled another list of interesting sailing terms and their origins. It’s not always clear as to the exact origin of the saying, some have several, so as always a pinch of salt is required! 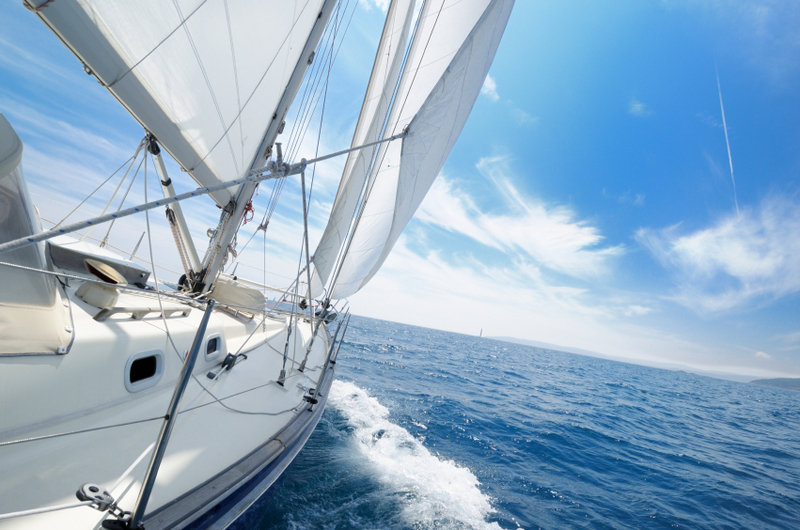 Of the many popular sailing terms this one has its origins in a document. The document in question was issued to a ship showing that the port it sailed from suffered from no infection or epidemic of any kind at the time of its departure. To give someone a clean bill of health means they are well. This means to prepare for trouble. Hatches are openings in the deck of a ship and were very commonplace on sailing ships. They were normally either open or covered with a wooden grating to allow ventilation of the decks below. When a storm was coming, the hatches were covered with tarpaulin to prevent water from entering the decks below. The edges of the tarpaulins were nailed down with wooden strips, known as battens, hence battening down or batten down the hatches. This saying means to behave or conform to a rule or standard and was a favourite of my Fathers during my childhood! The line in question is the line (seam) between the planks of wood on the deck of a ship. The seams were filled with oakum (untwisted rope fibre which was tarred) and then sealed with pitch and tar to make it watertight. Whether for group punishment or inspections, the crew were ordered on deck to line up in formation. The crew were directed to stand with their toes just touching a particular line or seam, hence toe the line. A boot camp is a camp for training new recruits or juvenille offenders, usually consisting of intense physical activity. During the Spanish-American War, Sailors or Marines wore leggings called boots, which came to mean a Navy or Marine recruit. These recruits trained in boot camps. One of my favourite sailing terms is the expression between the devil and the deep blue sea. This means to choose between two undesirable situations. The devil was the longest seam (joint between two planks of wood), thought to be the first plank on the outer hull of a wooden vessel from stem to stern. When at sea and the devil had to be caulked (filled to prevent leaking), the sailor hung from a rope over the side of the ship to do so. He was suspended between the devil and the sea – a precarious position, especially when the ship was under sail. To be footloose means having no attachments or ties, free to do as one pleases. The foot in question is the bottom of a sail. the foot of the sail has to be attached to the boom to keep it stretched so as to catch the wind. A sail that is not attached to the boom is said to be footloose and is very difficult to control as it moves with the wind. This entry was posted in News by Erica. Bookmark the permalink.